Home» Road Tests » Alfa Romeo Giulietta Contract Hire & Leasing Review. When it comes to buying a car, we are all naturally a little uneasy, because if we make a mistake, it’s likely to be something we are going to have to live with for years and its probably going to end up costing us much more money than we expected. We try and end up with something that’s fits the majority of our needs in terms of size, fuel consumption and of course what we can afford. But do we actually use our heads or use our hearts when we splash out probably the largest amount of cash any of us are ever going to do, outside of buying our homes? Well, it depends on what your answer to that was, to if you are going to fancy our test car or not. Italian car maker Alfa Romeo asked us if we would like to spend a week with one of their models and with our hearts firmly in control we said molte grazie happily jumping at the chance to spend a week flirting with this tasty Italian beauty that in all reality we would probably never go on to marry. “I am Giulietta” says the TV advert and there’s no doubt that Giulietta is Sei bella and you have to be devoid of all emotion when it comes to cars not to love how this thing looks, but the question is, do you have to be devoid of all logic to put your cash on the line and try and make a life together with gorgeous Giulietta?. Italian cars are something most real petrol heads have passion about and it’s because they embody so much more and some of the most beautiful and most exciting cars in history have come from Italian companies such as Ferrari, Lancia, Maserati, Lamborghini, De Tomaso, Pagani & Bugatti, and even some of the prettiest non-Italian cars have been penned by Italian design studios such as Pininfarina, Bertone, Zagato, Ghia and Giugiaro. A.L.F.A. (Anonima Lombarda Fabbrica Automobili) was founded in Milan in 1910, but in 1915, the company came under the direction of Neapolitan entrepreneur Nicola Romeo, who temporarily converted the factory to produce military hardware for the Italian and Allied war efforts. In 1920, the name of the company was changed to Alfa Romeo and cars were its focus and the rest is history? Alfa Romeo had always been involved in motor sport competing in Grand Prix Motor Racing, Formula One, Sports car Racing, Touring Cars and of course Rallying. Alfa began racing cars as early as 1911 and even the great Enzo Ferrari first founded Scuderia Ferrari in 1929 as an Alfa Romeo racing team, before going independent in 1939, so there is a great deal of heritage here. Real truth is, the company struggled for years and lurched from crisis to crisis until bought by present owners FIAT in 1986. So it seems that our pretty little Alfa Romeo Giulietta has much to live up to, but does it? Modern Alfa’s have picked up a bad reputation for reliability and for sure, whilst almost every vehicle ever made, has its problems, Alfa Romeo have undoubtedly had more than their share ranging from awful unreliability, to simply rotting away and whilst we take normal things and even good things for granted, we remember the bad stuff and if our car got rusty, or broke down, chances are we are still going to remember that 20 years later and may not want to take the risk of getting burned again? Some reports suggest that modern Alfa’s still fall well short of what’s expected, but just like everything else in life, the bar has simply got higher and even the cheapest cars today, achieve reliability that mega expensive ones couldn’t have done, just a few years ago. Alfa Romeo have certainly done what they can to regain buyers confidence and putting a 3 year unlimited mileage warranty, including parts, materials and labour on every new Alfa Romeo tells you that they are fairly confident about the products they are building today and this suggests you should be too. To highlight that, only 6 of the top 25 car makers offer a warranty that’s as good as or better than the Alfa Romeo “unlimited mileage” warranty. 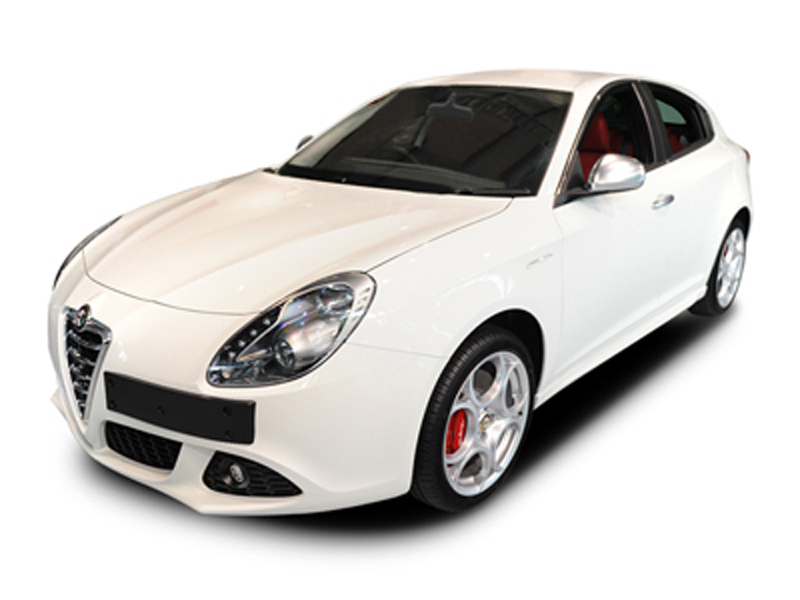 16 of the top car manufacturers only offer a warranty up to 60,000 miles, so the Alfa Romeo warranty is mighty impressive and is a real statement of confidence from Alfa. Before we leave warranty, the cars pretty bodywork gets looked after as well. All Giulietta’s come with a 3 year paintwork warranty and an 8 year anti-perforation warranty, which effectively means that for the first 8 years of its life, your new Alfa should still only have the same amount of holes in the body that it had when you took delivery new, and if it doesn’t, well Alfa is going to pay to repair them. So are we giving this car a fair shout here? Simple answer is we just don’t know so, yes in the past, Alfa’s have been unreliable, there’s no denying that, but year on year they’ve got better and better and clearly Alfa Romeo is putting its money where its mouth is in terms of offering a fantastic warranty that’s pretty much as good as it gets and that’s got to show their confidence in the new range of Alfa Romeo’s and perhaps that means we should as well? Only time will tell, so rather than try and approach this from a longevity point of view; we are simply looking at the Giulietta as it sits with us today and are going to tell you what bits we liked and what we didn’t like. The Giulietta comes in 5 different trim levels, Tourismo, Lusso, Veloce, Sportiva and Cloverleaf and you can pick from 3 petrol engines, a 1.4 120bhp, a 1.4 TwinAir 170bhp and a 1750Tbi 235bhp which only comes in the Cloverleaf version. Opt for diesels and you get 3 more engines to choose from, a 1.6 105bhp, a 2.0 140bhp and 2.0 170bhp. Co2’s range from 114g/km up to 134g/km across the range, apart from the 235bhp petrol which delivers a (reasonable for what it is) 177g/km. Combined MPG’s range from 37.2mpg for the 235bhp version up to 64.2mpg for the 105bhp diesel. We found however that if driven with any gusto at all, the Alfa drunk its way through fuel at a pretty fast rate and whilst Alfa claim a combined average mpg of 54.3 for our 1.4 170bhp TCT test car, we got no where near that, in fact when the car was delivered to us, we looked at the fuel computer which revealed that even on the long journey dropping the car off to us, the delivery driver had only achieved 33mpg, mind you, saying that, we found the fuel computer to be completely unreliable, particularly in terms of range and that could say be 90 miles at the start of a 20 mile journey and 170 miles at the end, so who knows? There are 23 different models on the Alfa pricelist and prices start at £17,760 for the 1.4 120bhp Turismo, up to £26,660 for the 2.0JTD 170bhp Sportiva. Fastest is the 235bhp Cloverleaf that makes the 0-62mph in 6.8 seconds and can touch 150mph at the top end. So price wise (and don’t forget this is effectively a 5 door family hatch), it finds itself against say Ford Focus Hatch which starts more cheaply at £13995 and runs up to £25,495 for its range topping ST version, whilst Vauxhall prices its Astra Hatch at £12,995 up to £25,175. So just looking at these two competitors, the Alfa Romeo clearly isn’t a cheap car by any means and at the lower end of the range, you can get into a Focus or Astra from between £3700 – £4700 less than the Giulietta, although at the top end of the range, that gap narrows. Our test car, with its extras was a touch below £25,000. Our car was a Giulietta TB 170BHP Veloce 1368 T5Dr H/Back TCT 6sp in brilliant Ghiaccio white, with 17” Turbine design Alloys and bright red brake calipers, so no blending into the background here and outside our car scored a clear 20 out of 10, because it simply looked gorgeous and makes other cars in its class like Vauxhall’s Astra, Ford’s Focus and things like Citroen C4 look dull ugly and frumpish. Despite some people’s reservations, the offset number plate allows the beautiful Alfa grille to breathe and the bonnets vee-sculpture, shapely headlights and lower grille, all draw inspiration from the 8C Competizione whilst the coupe style body hid its rear door handles so well that rear seat passengers even asked me how to get in. Front end gets mandatory daytime running lights and 4 LED lights are arranged vertically in the front clusters, whilst at the back end, its LED lights again for the tail lights, which are ive got to say, particularly attractive, looking a little like a music note flipped on to its side. Still at the back, the cars twin chrome exhausts actually work whilst the Alfa Romeo badge on the boot is also a keyless electric tailgate release. Opening the door, we were greeted by a sea of beautiful red sports leather which reminded us of Alfa’s of the past and this was only spoilt once you sat on it, as you couldn’t see it any longer, but it looked gorgeous and the Alfa Romeo logo embroidered into the head rest was a real touch of class. There were acres of hard black plastic inside the cabin, but it looked OK, and seemed all really put together well, and maybe it’s just us forgiving the Alfa, because we knew from the moment it arrived that it could toy with us and play with us and even if it had some cheap bits, we would cut it some slack, just because it is so beautiful. Inside is reasonably spacious both back and front, but as with so many coupe style vehicles, the roof dropping away means rear seat head room isn’t great and because of the narrowing window line, its pretty dark in the back and possibly may cause a touch claustrophobia, unless of course, you specified your Alfa with a £1230 electric double sunroof because that should brighten things up considerably. There are plenty of places and cubby holes to store stuff in the front of the car, although nothing big and whilst our car had a pretty red leather arm rest that you could store a pack of smokes in, it was in the way every time you needed to put the “old fashioned pull up handbrake” on, so we found ourselves ignoring it and leaving it up, as if it wasn’t there, so it was pointless. Boot space isn’t over generous either at just 350 litres, although folding the seats down increased that to 750 litres but by way of comparison, a BMW 1 Series offers 330 litres with the seats in place but 1150 litres with them folded, so if boot space is your thing, you could probably do better. Whilst the Giuliettas instrumentation was nice and reminiscent of days gone past with “benzina” and “Acqua” written on the face of the dials, annoyingly, like many other foreign cars, the speedometer lacked proper numbers for the speed limits that apply in the UK, leaving just a small dash for 30 / 50 and 70mph and come on Alfa Romeo, how much could this cost to put right when you are asking GB buyers to spend around 20 grand on your product? The cars “Blue & Me” equipped radio, looked particularly bland and dare I say “cheap” with not much going on by way of display and whilst users have said how good “Blue & Me” is, we only used the system to make calls and found it lacking in content and not particularly special or easy to use, just average. One of the testers that tried our Giulietta described the line of switches on the dashboard as being like “something you might find on a child’s toy” and questioned if after some use, that they might just come off in your hand? On the road, we thought the1.4 litre Multiair petrol turbo which chucked out 170bhp was impressive, and going up the gearbox, it was nice and offered more than enough power for the car. Brakes were as good as they needed to be, whilst I wasn’t totally impressed with the feedback through the steering, which felt a bit wooden. We don’t like stop/start systems much on any car, but the Alfa system seemed to kill the engine even before the car had actually stopped (you can however override the start stop system, although it goes back to default, which is on, every time you turn the ignition off/on) and when the system operated, it seemed to give a judder on both turn off and turn on and perhaps that’s something to do with its transverse engine, but its not seamless. We got out of a mid sector Peugeot 508 to test the Alfa Romeo Giulietta and the first and most obvious difference we noticed was the level of noise in the Giulietta, as it was enormous by comparison to the admittedly larger, but quite obviously much more refined Peugeot and for the first day or so with the Alfa, my passenger and I thought the noise was all pervasive. Funny though, after a few days, you cease to notice the noise and whilst it hadn’t gone, you get used to it and it just becomes the norm, but it did highlight to us that the Giulietta isn’t by any means the quietest place to be. Despite everything we’ve said and also perhaps also because of everything we’ve said, we loved the Alfa Romeo in so many ways and it was like the “posh bird” you were dating that you wanted you’re mates to see you with, but for us, on our particular car, there was one thing that we simply didn’t like and for us, couldn’t live with and that was the 6 speed dual clutch TCT gearbox. Effectively, the TCT gearbox is a semi-automatic transmission with double dry clutch consisting of two gearboxes in parallel that allows the next gear to engage whilst the previous one is still engaged. Many electronic auto gearboxes give you mode options but Alfa claims the TCT gearbox does much more depending how you opt to set it up. There are 3 settings and Alfa calls it “DNA” (yeh bit cheesy eh) D means Dynamic (which is sporty mode) N means Normal (so really doesn’t do anything) whilst A means All-Weather and you can select the modes from what appears to be an “over-engineered” switch on the cars centre console. Alfa says you can set your cars DNA according to conditions or your mood and it alters the engine, steering and suspension settings and controls the mapping of the TCT gearbox and whilst I guess “in my mind” the dynamic mode seemed to make the changes a touch sharper and the throttle perhaps a bit more sensitive, I definitely felt the steering got heavier and stodgier and frankly I didn’t like that, so put the switch back to Normal. I am not saying that the DNA system is ineffective, but in reality, there are only 2 alternate modes, as normal is after all, normal and every car has a normal mode, so it’s a kind of sporty mode that stiffens everything up, or the all-weather mode which softens everything up, that’s your options. I feel you would need to play with the settings to establish in your mind just what difference they make and if they suited you and the way you drive. We have driven cars with the Volkswagen DSG gearbox and found them far less annoying and of course, Fiat / Alfa make good gearboxes (they are part of the Ferrari family after all) but for us, we drove the car for a week and at times, it was superb and running it up the gears manually using the steering wheel paddles was very rewarding, but at other times it was dopey and dim-witted, leaving you pressing the throttle at a junction, and waiting until the gearbox decided when it would allow you to go, which put us in difficulty at junctions more than a few times. Perhaps I am being over demanding, but I expect any car to react instantly to my pushing the throttle and on a number of occasions, the Giulietta didn’t, its response was poor and that spoilt an otherwise nice car and I knew that this would be something that would permanently annoy me. Were I putting my cash on the table for new Giulietta, it would have to be a manual transmission every time so that my love affair with Giulietta could really flourish. Yes, I accept we are all different, but I couldn’t be bothered to faff around with the paddles the whole time, or to move the gear lever up and down each time, because if I am doing that, I may just as well have a proper manual. As a normal ordinary auto, it was OK-ish, but that’s all and all the trick twin-clutch stuff might impress the boffins, but for me, I just wanted the car to do as I wanted it to do, not as it wanted to do. We loved the way our Alfa Romeo looked and we never once, park it without taking a look back over our shoulder to admire how pretty it was as we walked away. We felt kind of cool driving the car but we couldn’t quite figure out if that was because it was so pretty and that other drivers were simply jealous of the way it looked or if they were admiring us, because we had the guts to choose an Alfa Romeo, or if they were showing sympathy for us as they’d owned an Alfa themselves in the past. The Giulietta is not a cheap car and the entire car seemed to be of a higher quality than Alfa Romeo’s we’ve tested in the past because they’ve used better materials and screwed it all together better and spending time with the car, you really do feel that its probably going to stay that way. Fact is though the Giulietta has lots of competition and whilst most of them don’t offer anything like the heritage and racing pedigree that Alfa Romeo does, but they all unquestionably do a very good job and for the main part, probably come with a better track record of reliability than the Alfa Romeo. It’s for you to choose, but if you are prepared to stump up the extra cash to drive an iconic badge such as an Alfa Romeo that’s undoubtedly more exclusive and sends a message that despite all that BMW says, that you, are indeed the ultimate driver and are prepared to break away from the herd of emotionless German brands, preferring instead to opt for a little Italian passion by saying Ciao to the Giulietta. We asked at the beginning of this report if you used your heart or your head and if its heart, we the Alfa is going to win hands down and if you use the right side of your brain, which uses feeling and where imagination rules and impetuous risk taking roams, it’s the Alfa Romeo all day long, but move to the left side and go for logic, facts, reality and practicality and visit where order reigns, well its Arrivederci Romeo. So our advice is if you are fed up with playing safe and want an unquestionably pretty car, that’s a full 5 door hatch, but looks like a coupe, exudes exclusivity, style & glamour and which has a stonking 3 year unlimited mileage warranty, comes in a choice of decent engines and gives you a buzz every time you drive it, or even when you just look at it, well think from the right side of your brain the Alfa Romeo Giulietta has to be for you.